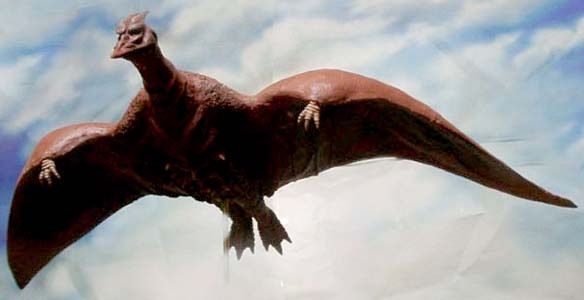 RODAN—-weighing in at 15,000 tons, boasting a wing-span of 500 feet, looking just about as ridiculous as a mock-up of such a thing could, Rodan roars at Mach 1.5 over Nippon, the second of the fabled triumvirate of gargantuan clods who periodically raise hell on Honshu—preceded by Godzilla, 1962’s Mothra being the proverbial third leg. Directed by Inoshiro Honda, featuring Kenji Sawara, Yumi Shirakawa, Akihiko Hirato and 70 minutes of awful special effects. 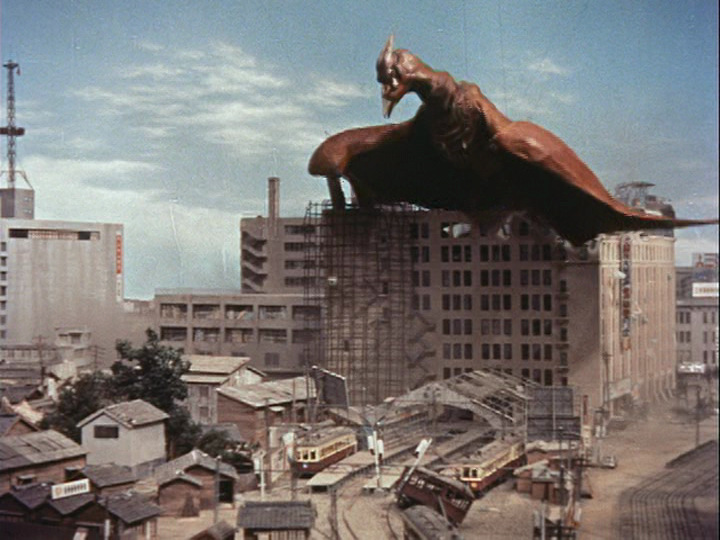 It must be seen, if only to hear the final “eulogy’ for Rodan.